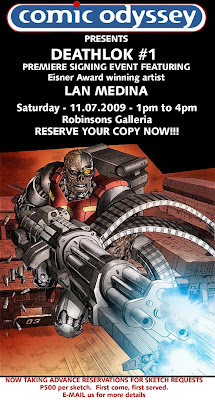 Come visit our Robinsons Galleria branch on November 7, 2009 for the premiere of DEATHLOK #1 by Eisner Award winning artist LAN MEDINA. Event is from 1-4 pm. Click on the image below for more info. See you there!! !